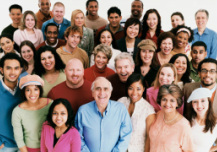 Common Mistakes - ALL WORLD LANGUAGES & CULTURES, INC.
One size fits all group diversity training with participants with various degrees of cultural sensitivity may be counterproductive and may aggravate people and situations in the workplace. Imagine 25 patients with different diseases meeting at one single appointment with one of the best physicians providing them with the same therapy. At the conclusion of the session, some patients will be happy. Some will be angry because they did not receive the appropriate therapy. Similarly, treating individuals who have failed to embrace and exhibit the value of diversity and inclusion in the workplace with group diversity training alone will bring similar results. Today’s workplaces are so diverse that ONE-ON-ONE DIVERSITY COACHING may be a good alternate best solution to improve individual cultural knowledge and collective harmony and productivity at work. Research does not advocate a total ban of group training in organizations because of its apparent inefficiency. Individuals from diverse cultural backgrounds need well-designed diversity and inclusion training modules focused on acceptance of each other. Group trainings are efficient only when they are followed by group teambuilding facilitation to gain the understanding that no matter how diverse the group may be, an opportunity can be created for all to work harmoniously and productively towards a common goal. In this sense, diversity should always be celebrated by all and used as an asset for productivity rather than a liability for failure.